When visiting London, you can benefit from its prime location from which you can reach plenty of other UK tourist hotspots in no time at all. Whether you stay in the capital or venture a little further afield, there are plenty of places to fill your days with. You can also view our guide on things to do plus a comprehensive list of 100 Free activities in London. You can hire a car, hop on the train or get the bus and take a trip just outside London, exploring the country at your own pace. The pretty town of Windsor is steeped in history, hosting an 11th century castle and a 15th century school. It has been home to a number of famous names over the years, including Michael Caine, Jimmy Page, and, of course, HM Queen Elizabeth II. By train - if you go from London Paddington to Windsor & Eton Central, you can be there in as little as 26 minutes. By bus - catch the Green Line 702 from Victoria Green Line Coach Station. You can get to Windsor in roughly 1 hour 15 minutes. By car - if you would rather hire a car, you can get to Windsor in roughly 55 minutes via the M4. Windsor Castle - this is the Queen’s official place of residence and is the location of Prince Harry’s and Meghan Markle’s wedding. You can take a tour of the castle and even visit the chapel where the new royal couple tied the knot. Legoland Windsor - this is one of the most popular theme parks in the UK, and with plenty of rides, attractions and activities, it makes a great place to spend the day with the kids. Eton College - with an impressive alumni including princes, actors and political leaders, Eton is world-renowned. You can take a tour of the campus and see where some of the most famous Brits started out. Cinnamon Cafe - this family-run cafe has a fantastic selection of cakes as well as lots of light bites such as sandwiches, baked potatoes and bagels. They even accept cash in $! Enzo’s - this Italian restaurant gives the feeling of fine dining, but it won’t break the bank. Choose from a varied menu which offers a taste of Italy, and make sure you leave room for dessert! The Oxford Blue - in a country pub setting, you can find incredible fine dining, with expertly crafted dishes that look as luxurious as they taste. You can even book the wine attic for an exclusive dining experience. The city of dreaming spires is synonymous with academia, but there is so much to this city than just the university. There is plenty of history to get stuck into, and as Oxford isn’t a huge city, it’s easy enough to just take a walk around and discover the city for yourself. By train - catch the train from London Paddington and you can be in Oxford in just 1 hour 20 minutes. By bus - the X90 leaves from Buckingham Palace Road stop 7 and can get you to Oxford in roughly 1 hour 40 minutes, with the last bus back to London leaving at 11pm. By car - travelling to Oxford by car will take roughly 1 hour 35 minutes via the M40. Of course, in bad traffic, this could take significantly longer. Christ Church College - while Oxford University is spread out across the city in different colleges, Christ Church is probably the most recognisable. You can tour around most of the college, and expect to recognise a few areas as the college was often used as a location for the Harry Potter movies. Oxford Castle & Prison - with 1000 years of history, Oxford Castle provides a fascinating and fun experience for the whole family. You can learn about the history of the castle itself and take a tour of the old prison where criminals were held for hundreds of years. Take to the river - the River Thames winds its way through the city of Oxford and there are plenty of opportunities for you to get out onto the water. You can enter into true British tradition and go punting or maybe take a relaxing river cruise where you can see the city from the river. The Coconut Tree - this Sri Lankan restaurant is quite the experience. The menu has plenty plenty of different dishes that you can sample as a group. They have low prices and even offer free food for children under 10. Home - the menu at Home changes every five weeks, allowing them to work with the freshest ingredients as they come into season. You can expect a good mix of dishes, combining British cuisine with other cultures. The Oxford Kitchen - with a Michelin star chef leading their kitchen, The Oxford Kitchen is one that is not to be missed. With European influences, these dishes are beautifully presented. If you loved Oxford, you’ll certainly enjoy a day trip to Cambridge. The city is similar to Oxford in a number of ways, but it’s a little quieter, so you can expect a more relaxed atmosphere. By train - take the train from Kings Cross Station and you can arrive in Cambridge in less than 50 minutes. By bus - the bus leaves from London Victoria Coach Station and can get you to Cambridge in roughly 2 hours. By car - if you were to drive, take the M11 and you can get to Cambridge in just under 2 hours. The Fitzwilliam Museum - with an impressive collection of art, artefacts, literature and more from all across the world, you won’t believe that this museum is free to visit. With so much to see, you could spend all day looking around the collections. Kings College Chapel - as one of the most famous buildings in the city, Kings College Chapel is almost synonymous with Cambridge. You can look around the chapel and even attend a guided tour. Cambridge University Botanic Garden - with 40 acres of gardens and glasshouses, the Botanic Garden, there is plenty for you to explore. The garden is home to a variety of wildlife as well as plants, including badgers and foxes. If you’re lucky, you might get to see the fox cubs at the right time of year. The Urban Shed - this cheap and cheerful venue offers a fun place to eat, complete with seats from aeroplanes, wall-mounted bikes and hand-painted milk bottles. The sandwiches are fantastic, and there is so much to choose from. Signorelli’s Deli - this restaurant has a fantastic authentic Italian feel to it. While the pizzas and other mains are great, the real showstoppers are the desserts and pastries. Restaurant 22 - this luxurious restaurant combines imagination with real culinary skills to create an incredible menu. You can choose from the A La Carte menu or opt for the 5 or 7 course tasting menu, treating you to some fantastic presentation. Brighton takes you a little further away from London as you head down to the south coast. By train: when you catch the train from London Victoria, you can be in Brighton in just 52 minutes. By bus: the bus leaves from London Victoria Coach Station and can get you to Brighton in around 2 hours. By car: Brighton is about 50 miles from London and about a 90-minute drive (depending on traffic). Just take the A23/M23 south until you reach it! The Lanes - Brighton is a city with a lot of character, nowhere more so than the Lanes, a collection of narrow streets and alleyways known for their small shops, independent cafés and more, as well as their pretty buildings. Royal Pavilion - For a second, you might think you’re in Bombay, not Brighton, but this impressive former royal residence was simply designed in an Indian-inspired style in the nineteenth century. Today you can head inside to see rooms set out like they were for royalty, an art gallery and some impressive grounds. Brighton Dome - One of the city’s biggest performance venues, the Brighton Dome hosts events such as classic music, theatre and comedy. In fact, it’s actually connected to the Pavilion by a secret tunnel, once used by George IV. Dizzy Gull - If you’re after some good pub grub, head to the Dizzy Gull, just off the main street. A step up from your local boozer, the food here has been put together by the chef from The Set (one of Brighton’s swankiest restaurants) and is known for their amazing Sunday roast. Fatto a Mano - With two branches in the city, Fatto a Mano serve up authentic Naples-style pizza, cooked in a wood-fired oven. Perfect for something to please the whole family without going to the nearest fast food joint. The Salt Room - For something a bit more upmarket, head to this steak and seafood place right on the seafront, with great views. As for the food, there’s a great selection of seafood and amazing cocktails too. If you would prefer to have someone show you the sights of the UK, you can always opt for an organised day trip which can make it a little easier to get the most out of your day trip. Stonehenge is an iconic historical landmark in the UK and is thought to have been constructed between 3000 BC and 2000 BC. You can visit this landmark and get a sense of the incredible history on a day trip from London. 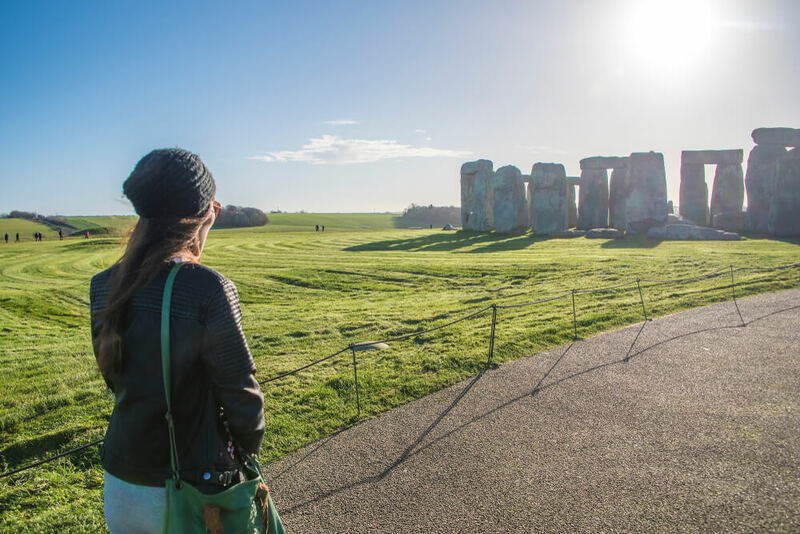 One trip featured on Trip Advisor takes you, not only to Stonehenge, but also to Windsor Castle and Bath. You can read more about this excursion here. Downton Abbey has proved to be incredibly popular across the world, so if you’re a fan of the Crawley family and the lives of the household, you’ll be pleased to know that you can take a tour around the filming locations, including Highclere Castle, the real Downton Abbey. 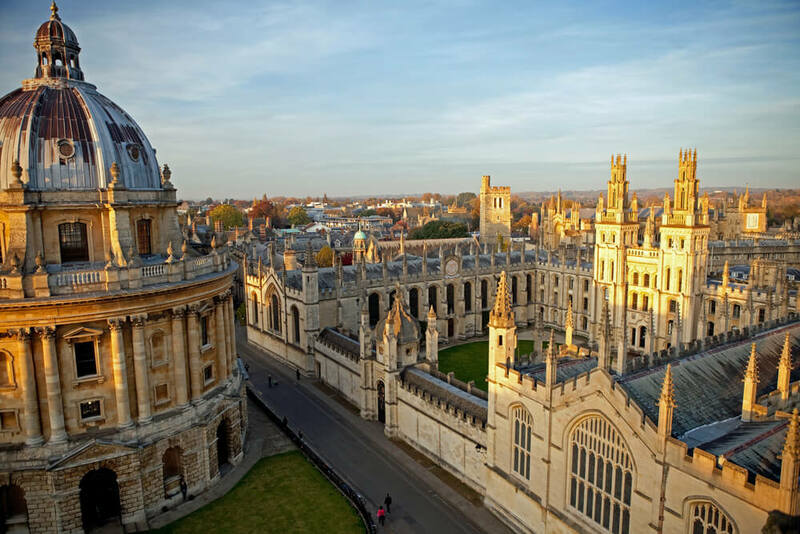 You’ll also be treated to a tour around Oxford where you can see sights such as the Bridge of Sighs and the Radcliffe Camera. You can read more about this excursion here. If you have limited time or you’re not sure what to see during your stay, you can take a guided day trip around the city itself. 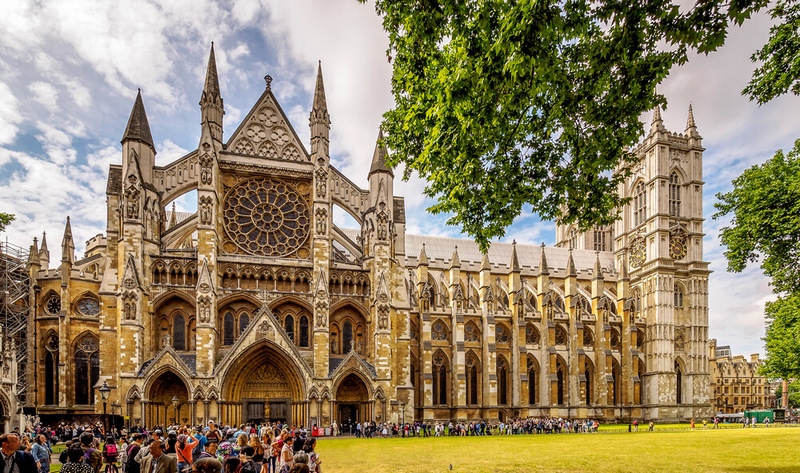 You will be guided around a number of the most popular sights, including Westminster Abbey, St. Paul’s Cathedral, Buckingham Palace and the Tower of London. You can read more about this excursion here. The Cotswolds is a particularly beautiful area of the UK, so this day trip will treat you to plenty of fantastic views of the British countryside. You can visit towns and villages such as Burford, Bibury and Stow-on-the-Wold where you will learn about the history of the area, enjoy a two-course lunch and get the opportunity to do a little exploration. You can read more about this excursion here.